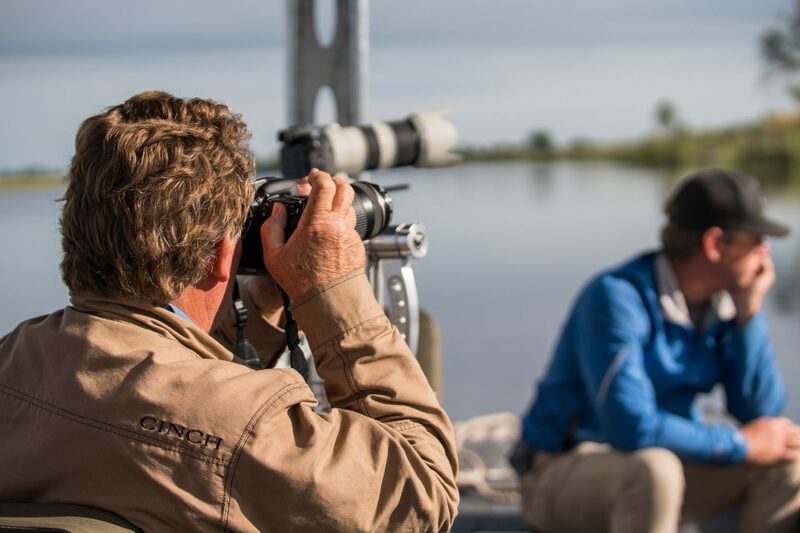 I recently had the privilege of guiding alongside award winning photographer Craig Parry in his first ever African Predator Photography workshop in Botswana! 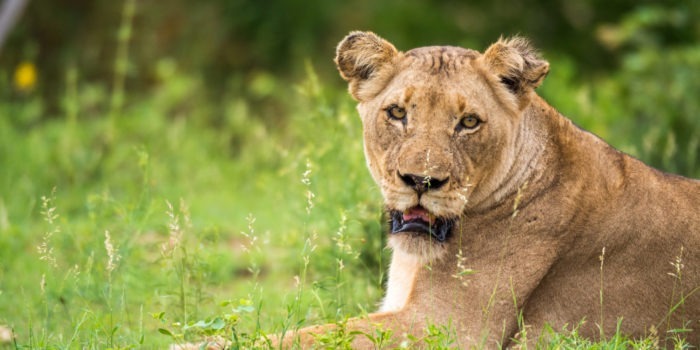 During which time, I learned a couple of tips and techniques, but also came to realize some essentials to bring along on a photographic safari. 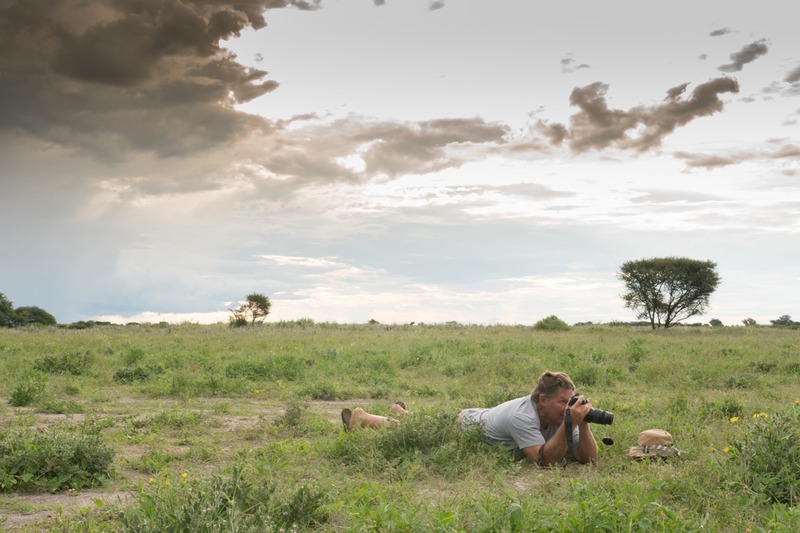 To get the most out of a safari from a photographic point of view it takes some preparation and equipment. Firstly, you will need a decent camera, preferably one that can take interchangeable lenses. Try to do your research prior to purchasing the right camera for the job. Try to get one that can Auto focus fast, has a higher megapixel count and can take multiple pictures consecutively and quickly. That should be a good start. Now lenses … there is an overwhelming selection available. The basic rule of thumb is that – you get what you pay for. 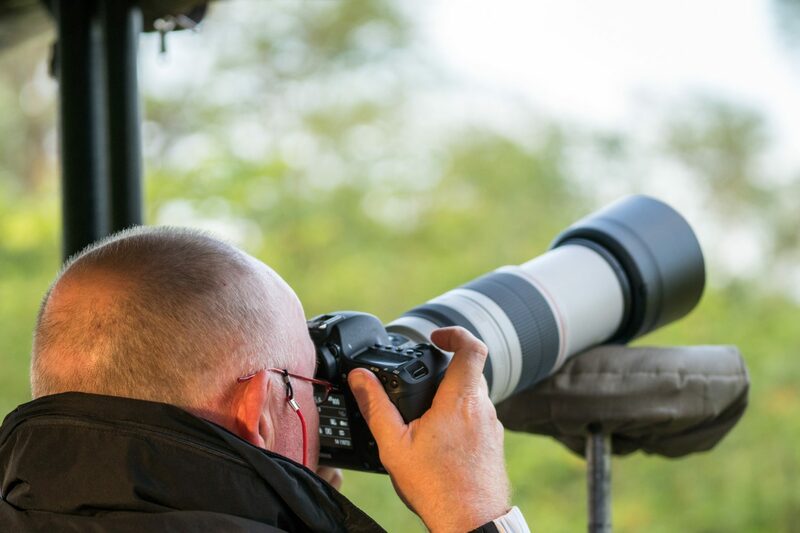 Aim for at least a lens over 400mm if you are serious about your photography. That doesn’t mean that without a 400mm you can’t produce some nice results. 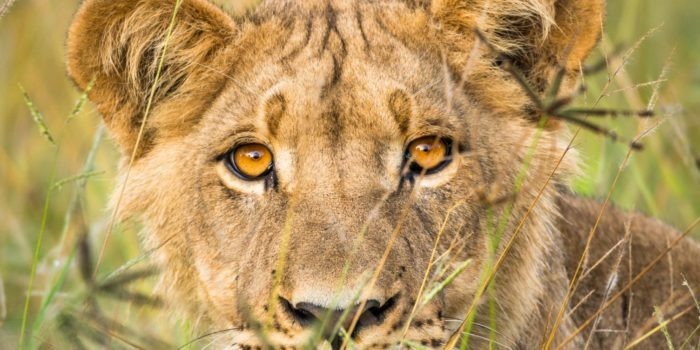 But often, you will wish you could get a little closer with that zoom. Should you bring only one lens? NO, I personally use 3 lenses of varying focal length that all have their specific use and function. Memory cards! Get big ones (32GB-64GB) and bring a spare. But what I’ve noticed is that, people whom might be new to photography tend to stop at this point. They don’t bring a laptop and hard drive with. How would this help? 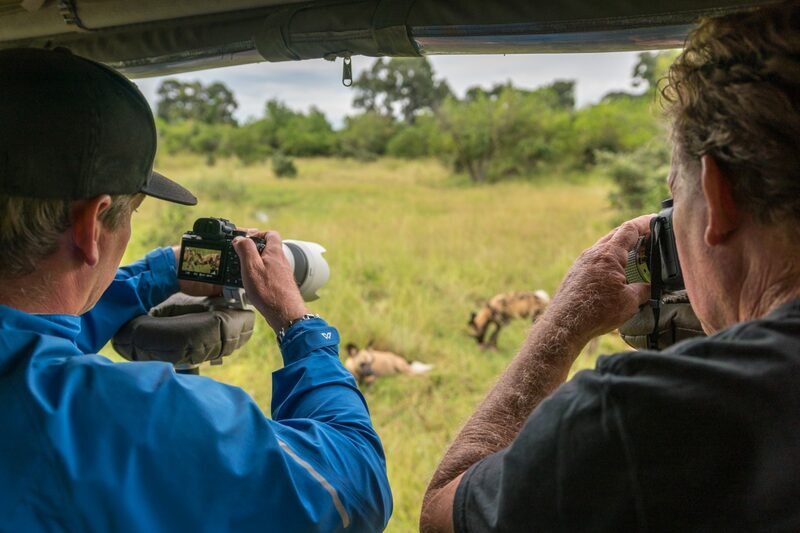 Well its often very nice and exciting to quickly have a look at how your photos turned out during your down time on safari. You can see if you maybe made a mistake with the focus or exposure of your shots, or perhaps realize you nailed it, and thus focus on other aspects. It also doesn’t hurt to backup those precious shots on the hard drive in case the worst was to happen. This also prevents something I’ve seen all too often, where someone turns on their camera and realizes there are photos from their previous holiday which that have forgotten about and left untouched until now. Put them all in one place and nicely organized on a hard drive so you can later access them easily and conveniently. And that just about covers the essentials! Now all you need is to get out here and to point that lens at those big hairy things! 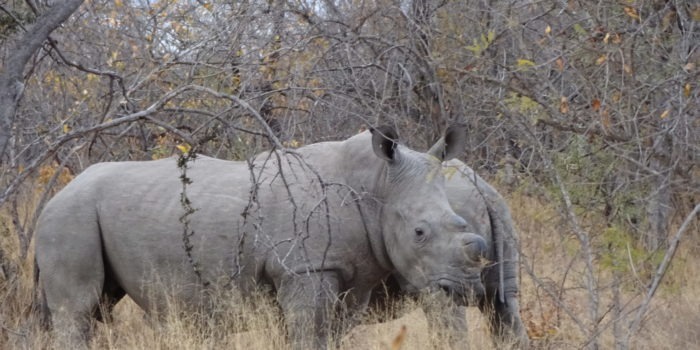 Take only photographs, leave only footprints….